“If you can’t be replaced, you can’t be promoted”? It’s true. So why then, as industry experts, successful business owners, and dedicated home offices, do we hesitate or refuse to look forward to opportunities to grow our businesses the second the word “succession” gets involved? We have to get past thinking that succession means being put out to pasture and remember that succession really means stability. 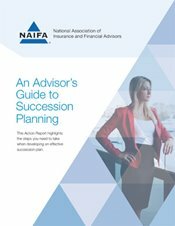 A lack of succession planning is so great a risk to our industry’s stability, that NAIFA (National Association of Insurance and Financial Advisors) released a guide to help advisors navigate the Succession crisis. 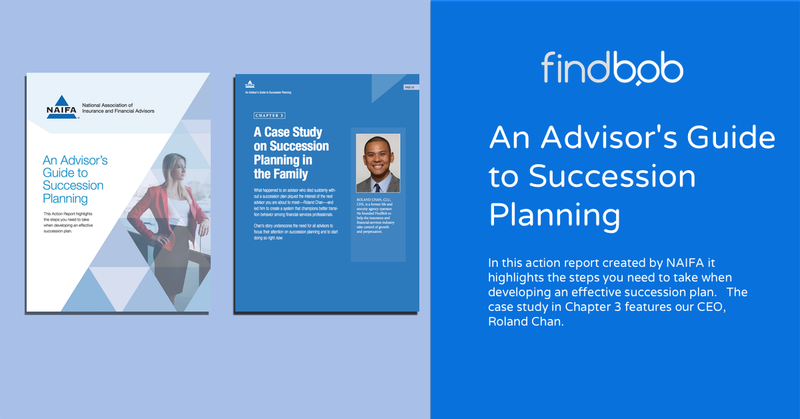 The action report is loaded with sage advice from industry experts including a case study on family succession featuring our CEO, Roland Chan, in chapter 3. While the terms tend to be used interchangeably, there is a difference. At its root, Continuity is a contingency plan. What has to happen to keep a base level of service chugging along if there is a disruption whether it be caused by death, illness, or a meteor strike? A Continuity Plan identifies the resources that need to be in place to ensure the business continues to take care of its customers no matter what happens. It’s the business equivalent of an emergency kit that has the extra batteries, bottles of water, and a solar blanket. Succession plans are the roadmaps that define a business’ growth opportunities. While they have elements of a Continuity Plan the viewpoint on the business is much wider. Succession plans focus on growth while the owner or primary person is still present and still active in the building of the business. succession planning process. Business continuity agreements (sometimes called contingency plans), provide for the transfer of servicing of a producer’s clients to another producer following the occurrence of a triggering event (death, disability, retirement or departure from a company). Think of a continuity plan as analogous to term insurance for your practice." The key difference is a growth mindset with the luxury of time to plan and implement. We need Continuity to keep what we’ve built going because none of us have crystal balls to rely on. We owe it for the hard work we’ve put in and for our clients that have kept our bellies full over the years. We need Succession because we aren’t done yet. We want to continue to build and that means creating stability for solid growth. It means finding the right people for our business so that we can groom them and ensure that our growth isn’t stalled because we have a revolving door of team members. Succession means we didn’t waste precious time so that when we’re ready to transition out or look to new opportunities, we’re left scrambling for options.